16th October 1917, aged 20. 14th November 1917, aged 34. Husband of Bessie Jackson, of 33, North Seaton Rd., Ashington, Northumberland, England. Henry, an electrician by trade, married and a father of two baby daughters, joined the Canadian Army in Winnipeg, Canada and travelled to Liverpool, England, on the SS Olympic (sister ship to the Titanic). After training at Shoreham (Southern England) he was transferred to the 1st CMRB as one of the replacements for the casualties suffered at Vimy Ridge in April 1917. After taking part in the Battle of Passchendaele he was “dangerously” wounded at Capricorn Keep Trench (Pond Farm) by shrapnel from an artillery shell at about 1pm on 14thNovember 1917 while the 1st CMRB was withdrawing from the Reserve Trenches. He arrived at No. 10 Casualty Clearing Station at Remy Siding that evening, after being evacuated to Wieltje ADS by motorised ambulance then to Vlamertinghe Mill MDS and finally to the CCS by a MAC Ambulance. Arriving at the CCS some 5 hours after being badly wounded Henry was immediately placed in the Resuscitation Ward on a heated bed and given a blood transfusion but he never recovered sufficiently to be operated on. As a result he was moved to the Moribund Area where he died later that night. 15th June 1917, aged 32. Son of John William and Ann Jackson, of Burnley, Lancs; husband of Evelyn Brooks (formerly Jackson), of 191, Bury Rd., Rawtenstall, Manchester. John Jackson was a reservist who was called up at the beginning of the war. Previously having served fourteen years with the forces, spending time in Gibraltar with the King's Royal Rifles. Originally from Wakefield, his mother resided in Coal-Clough Lane, Burnley and John and his wife Evelyn lived at 10 Waterloo Road in the Burnley Wood area of the town. Prior to enlisting he was a firebeater at Folds' Rishton Mill, Gunsmith Lane, Burnley. He was the father of four children, one of whom had been born since the start of the war. 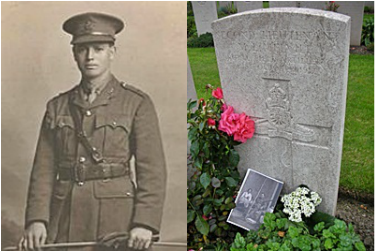 Harold Jameson, M. C., D. C. M.
5th January 1917, aged 20. Medaille Militaire (France). Son of William Storm Jameson and Hannah Margaret Jameson, of "Ryedale," Chubb Hill, Whitby, Yorks. Served in France and Flanders from 10th Aug., 1914. 13th June 1917, aged 35. Originally of the No 1 Mining Corps (later 1 Australian Tunnelling Company) of Parramatta, NSW. A shipwright prior to enlisting, he embarked from Sydney aboard the HMAT Ulysses (A38) on 20 February 1916. He died on 13 June 1917, at the 2nd Canadian Clearing Station, France, of wounds received in action, aged 35. 22nd October 1917, aged 27. Son of Richard Nixon Jessop and Elizabeth Jessop, of 70, Margaret St., Launceston, Tasmania. Native of Victoria, Australia. A painter prior to his enlistment on 16 March 1915 he embarked from Melbourne on board HMAT Wandilla on 18 June 1915. 22nd September 1917, aged 23. Son of Walter Murray Johnson and Christina Johnson, of Corowa, New South Wales. A bank clerk prior to enlisting, he embarked from Melbourne aboard HMAT Commonwealth (A73) on 19 September 1916. On 21 September 1917, aged 23, he was wounded in action close to the Menin Road at Ypres, Belgium. He was hit by a shell burst whilst in the gun-pit re-filling belts and riddled by shrapnel. He died of his wounds on 22 September 1917, in the 3rd Canadian Casualty Clearing Station, Belgium. 27th September 1917, aged 29. Son of Joseph and B. Johnson, of Neerim Junction, Victoria, Australia. 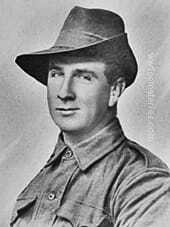 A labourer of Neerim Junction, Victoria prior to enlistment, he embarked with the 2nd Reinforcements on HMAT Euripides on 4 April 1916; he later transferred to the 59th Battalion. After being wounded at Polygon Wood, Belgium. 5th October 1917, aged 38. Brother of Lewis John Johnston, of 1507, Pennsylvania Avenue, S.E. Washington, D.C., U.S.A. Native of Lawrence, Dunedin, New Zealand. Picture courtesy of Rick Johnston. Son of Charles George and Mary Elizabeth Keid, of Malonga Terrace, Graceville, Brisbane, Queensland. Native of Brisbane. 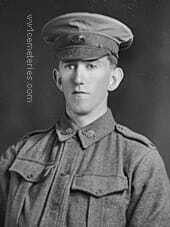 Sgt Keid, a farmer in civilian life, enlisted on 5 October 1914 along with his brother 1154 Private (Pte) Henry Charles Keid, both serving with the 9th Battalion. Sgt Keid died on 2 November 1917 from wounds received at the battle of Passchendaele. He was one of six brothers who enlisted, four of whom were killed in action and one was wounded. 16th August 1917, aged 28. Husband of Sarah Kelly, of Bridge St., Comber, Co. Down. In memory of Hugh Kelly who went to war never to return, leaving behind his wife and children. This photo belonged to his daughter Mary Foster. Henry Herbert Kemble, D. S. O,. 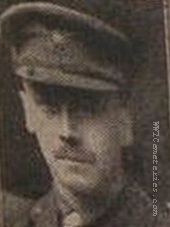 M. C.
7th June 1917, aged 40. Son of William Kemble, (I.C.S. ), and Elizabeth Emma Kemble. Born at Purneah, India. 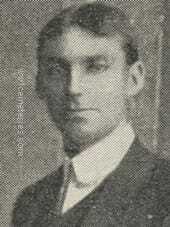 Son of Richard Edgar and Honoria Elizabeth Kemp; husband of Gertrude L. King Kemp, of "Malua," Park Rd., Burwood, New South Wales. An insurance inspector prior to enlisting on 10 May 1915, he embarked from Sydney aboard HMAT Beltana on 9 November 1915. Dvr Kemp was given the service number 3538 when he transferred to the 101st Howitzer Battery, Australian Field Artillery. He was wounded in action - gassed - at Passchendaele, Belgium, and died on 18 October 1917. His brother, 19104 Gunner Wilfred Foxton King Kemp, 28th Battery, 7th Field Artillery Brigade, died on 29 May 1917, in France, aged 28 years and is buried at the St. Sever Cemetery Extension. 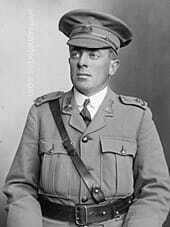 He was a descendant of Phillip Gidley King, Third Governor of NSW, one of over 50 whom served in the First World War. 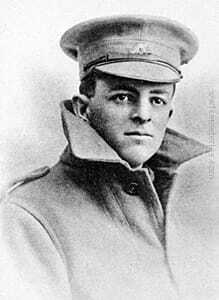 He enlisted in July 1915 and spent time as a musketry instructor before eventually embarking with the 24th Reinforcements and the rank of 2nd Lieutenant (2nd Lt) on HMAT Ballarat, departing Melbourne on 19 February 1917. He died of wounds on 20 September 1917, aged 25 years. He, along with all others aboard, survived the sinking of the Ballarat when it was torpedoed in the English Channel on 25 April 1917. Edward Kernan was first of all taken to the Menin Road Dressing Station before being tranferred and admitted to the No.10 C. C. S. at Poperinghe on 20th September 1917, suffering from a shell wound to the abdomen. Hospital records show that he died on 21st September 1917. C. W. G. C. records show his date of death as 20th September. Son of Baron Albert and Annie Seymour King, of 37, Denmark St., Kew, Victoria, Australia. ​A clerk prior to enlisting on 8 March 1915, he embarked from Melbourne aboard HMAT Euripides on 10 May 1915, with service number 1052, as a member of A Company, 24th Battalion. 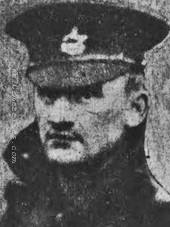 King was transferred to the Heavy Battery Divisional Artillery on 17 September 1915 and was promoted to sergeant on 30 June 1916. 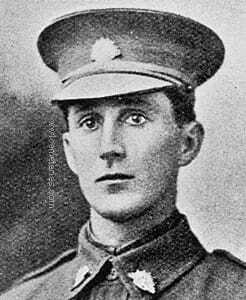 Sgt King was wounded at Anzac Ridge, Passchendaele, Belgium, and died on 22 October 1917, aged 20 years. 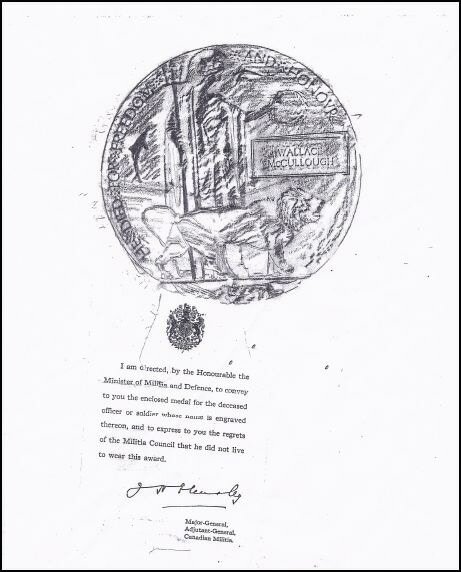 He was a descendant of Phillip Gidley King, Third Governor of NSW, one of over 50 whom served in the First World War. Son of William and Margaret Kirkland, of "Willangus," 19, Murray St., Elsternwick, Victoria, Australia. Native of Ballarat, Victoria. A 20 year old accountant prior to enlistment on 17 August 1914, he embarked for overseas as a Private with F Company from Melbourne on 21 October 1914 aboard HMAT Orvieto. While serving at Gallipoli, he was wounded in action in May 1915 and evacuated for medical treatment. After returning to his battalion at Gallipoli in July, he was promoted to Lance Corporal on 4 September 1915 and then he took ill later that month and was eventually evacuated to the UK. He rejoined the 5th Battalion in France in July 1916 and was promoted to Corporal on 4 August 1916. After being wounded in action in France on 4 November 1916 he was evacuated to the UK and did not rejoin his battalion until 21 June 1917. He was promoted to Sergeant on 11 September 1917 and then wounded in action again on 20 September 1917 near the Menin Road, Belgium. He succumbed to these wounds on the same day. 28th October 1917, aged 26. From Port Adelaide, South Australia. 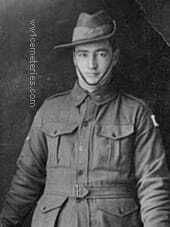 A 25 year old shearer prior to enlisting on 11 January 1916, he embarked for overseas with the 15th Reinforcements of the 10th Battalion from Adelaide on 9 March 1916 aboard RMS Mongolia. After transiting through Egypt, he arrived in France in May and transferred to the 50th Battalion in August 1916. Following promotion to Lance Corporal (L Cpl) in May, he was awarded a Military Medal in June 1917. 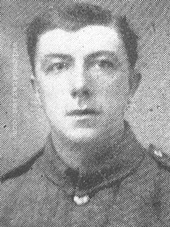 L Cpl Kirvan was wounded in action at Broodseinde Ridge, Belgium on 18 October and died from his wounds on 28 October 1917. 22nd September 1917, aged 32. Born: Dookie, Victoria. August 20th, 1885 Son of Robert and Mary Jane Knox. Enlisted July 13 1915. Embarked 11 October 1915 at Adelaide on HMAT Nestor. 6th Battalion AIF No. 3378. Died : September 22 1917 from wounds received on September 20 1917. His Company was in action at Glencorse Wood during the early stages of the Battle for Polygon Wood. Son of Thomas and Mary Jane Labram, of 15, Winwood St., Southwark, Adelaide, South Australia. From Southwark, South Australia. 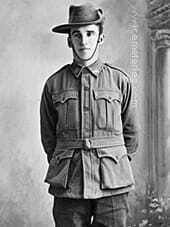 A 21 year old labourer prior to enlisting on 11 September 1914, he embarked for overseas with B Section, 4th Field Ambulance, 4th Infantry Brigade from Melbourne on 22 December 1914 aboard HMAT Berrima. After serving at Gallipoli, he went to France in June 1916 with the 4th Field Ambulance but after less than two weeks was taken ill and evacuated to England for medical treatment. After returning to France, he transferred to the 50th Battalion on 6 March 1917 and was wounded in action on 2 April 1917. 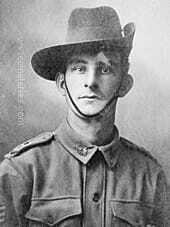 Two months later he returned to the 50th Battalion and was promoted to Lance Corporal (L Cpl) on 6 July 1917. He was awarded a Military Medal for bravery in treating and rescuing wounded soldiers at Zonnebeke, Belgium on 26 September 1917. 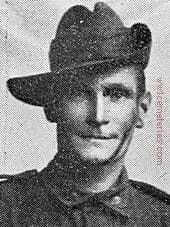 L Cpl Labram was wounded in action on 13 October 1917 and died from his wounds the next day. 25th September 1917, aged 33. Son of Henry Vincent and Mary Ann Lade, of Broadford, Victoria, Australia. 2nd Lt Lade enlisted on 16 July 1915 and embarked from Melbourne aboard HMAT Hororata on 27 September 1915. He was promoted to Lieutenant on 23 July 1916 and died of wounds on 25 September 1917 in Belgium. Lieutenant Lade and his men were hit by a shell close to Zillebeke whilst visiting Machine Gun positions, he was severely wounded by the blast and one leg was blown off in the explosion. He was taken to a Dressing Station and later moved to the Canadian Hospital at Poperinghe where he died , his last words, as he was taken away by stretcher bearers were said to have been "Carry on Boys." 22nd July 1917, aged 25. 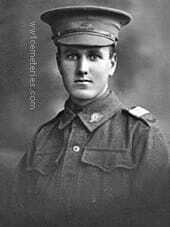 Son of Michael and Catherine Ann Larkin, of Tarwin Meadows, Gippsland, Victoria, Australia. Native of Victoria. 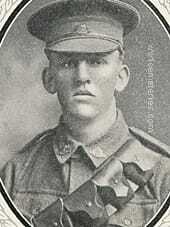 From Casterton Vic, who enlisted on 30 November 1914 and died of wounds on 22 July 1917, aged 25 years. 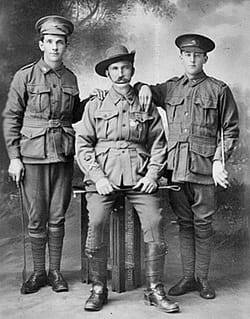 He was one of four brothers who served in the AIF. Another brother Private Michael Edward Larkin of the 8th Light Horse was killed in action on 7 August 1915, and is commemorated on the Lone Pine Memorial. 11th October 1917, aged 33. Husband of Beatrice Laycock, of 30, Gorple St., Harle Syke, Burnley. 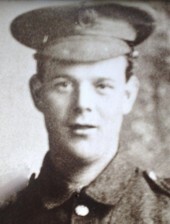 Harry enlisted in June 1916 after being rejected three times on account of his height, he was only 5ft 1". He went overseas in February 1917. He left a widow and two children. Prior to enlisting he worked as a weaver at the Haggate Weaving Co's. Mill. He was an outstanding Billiards player and was always in demand for "socials and entertainments" in the district due to his ability as a comic singer. He was described as "A very cheerful young fellow, fond of larks, and well liked." The army Chaplain, in a letter to his wife, expressed deep sympathy and spoke of the loyal and faithful devotion with which he served. 27th September 1917, aged 20. Son of Prosper Henry Victor and Caroline Le Roux. Native of Lang Lang, Victoria, Australia. 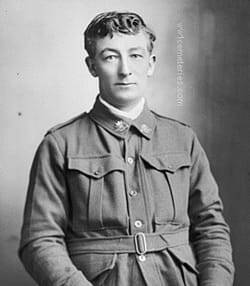 An 18 year old clerk prior to enlisting on 4 February 1916, he embarked for overseas with the 31st Battery from Melbourne on 20 May 1916 aboard HMAT Medic. While serving on the Western Front, he died on 27 September 1917 of wounds received at the Battle of Passchendaele, Belgium. 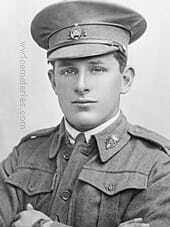 His older brother 5856 Lance Corporal Prosper Reginald Victor Le Roux, 24th Battalion enlisted four days after Albert and also lost his life at the Battle of Passchendaele on 4 October 1917. He is commemorated on the Menin Gate Memorial. 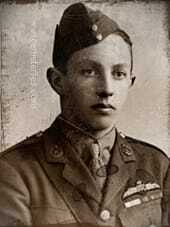 Donald Swain Lewis, D. S. O., M. I. D.
10th April 1916, aged 30. Son of Capt. Ernest and Maria Jane Lewis, of Guildford; husband of Margaret Maitland (formerly Lewis), of 72, Addison Rd., West Kensington, London. 3rd November 1917, aged 24. Son of the late John William and Mary Ann Linklater. Native of Sydney, New South Wales. A labourer prior to enlisting in Hyde Park, NSW, on 8 March 1915, Pte Linklater embarked from Sydney, NSW, aboard HMAT Berrima on 25 June 1915. He died of wounds received at Passchendaele, Belgium, on 3 November 1917, aged 24. Son of Mr. and Mrs. R. Longworth, of Lauriston, North Coast, New South Wales. A butcher prior enlistment he embarked with the A Company on HMAT Benella (A24) on 1 May 1916. 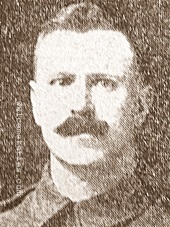 Sgt Longworth died of wounds on 12 October 1917. Son of Robert and Louise Macdonald, of 132, Yarra St., Geelong, Victoria, Australia. Native of Ballarat, Victoria. A school teacher prior to enlisting, he embarked from Melbourne aboard HMAT Port Melbourne (A16) on 21 October 1916. On 16 October 1917, he was wounded in action at Passchendaele, Belgium, and died on 17 October 1917 at the 10th Casualty Clearing Station, Belgium, aged 21. He is buried in the Lijssenthoek Military Cemetery, Belgium. Pte MacDonald's only brother, Lieutenant Neil MacDonald, 23rd Battalion, died of wounds received at Pozieres, France, on 29 July 1916 and is buried at Warloy-Baillon Communal Cemetery Extension. Son of James and Elizabeth Gray Mackenzie; husband of May Mackenzie, of Urana, New South Wales. Native of Blairgowrie, Perthshire, Scotland. A storekeper prior to enlisting, he embarked from Sydney aboard SS Port Napier on 17 November 1916. He was wounded in action on 25 September 1917, during the Third Battle of Ypres, Belgium, and died later the same day of a throat wound at the 10th Casualty Clearing Station, Belgium, aged 43. John (Jack) Kenneth Mackenzie was born at Blairgowrie, Perthshire, Scotland, in 1879. Before he emigrated to Australia he had been apprenticed as a gardener for 4 years, on the 7th Duke of Atholl's estate, and served for 3 years as Pipe Major of the Ayrshire Artillery. 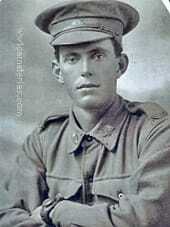 He was working as a storekeeper at Urana, NSW, when he enlisted in the AIF at Cootamundra on 26 August 1916. He had married May Laird at Urana the previous year. After initial training at the Cootamundra and Liverpool Camps, Mackenzie was assigned as a private, service number 6789, to the 22nd reinforcements for the 14th Battalion. He sailed from Sydney for England aboard SS Napier, taking his bagpipes with him. Mackenzie was made an acting lance corporal for the duration of the voyage only and reverted to private when the ship arrived at Devonport, England, on 28 January 1917. The reinforcements moved to the 4th Training Battalion at Codford, but Mackenzie developed a severe eye infection a few days later and spent the next two months as a patient at the King George Hospital in London. He returned to training in April and finally joined his battalion in Belgium in August. Although 14th Battalion had its own band Mackenzie immediately organised an additional pipe band from some of the Scottish members of the battalion who had also brought their bagpipes with them and was appointed its Pipe Major. 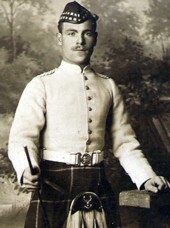 Mackenzie was promoted to corporal on 2 September. At 6.30 am on 25 September Mackenzie was one of a party of men on fatigue duty near Brigade Headquarters, laying duckboards and fetching additional ammunition from the dump in anticipation of an attack planned for the following day at Zonnebeke near Ypres. He received a shrapnel wound to his face and throat. Shrapnel from the same shell killed Captain Thomas Templeton outright. Mackenzie was evacuated to 10th (British) Casualty Clearing Station at Poperinghe but he died later the same day while undergoing surgery. He was buried at the Lijssenthoek Military Cemetery. 1st August 1917, aged 20. Son of the late Mr. and Mrs. J. M. Jensen, of Frederikshaven, Denmark. 5th October 1917, aged 22. Son of Frederick Thomas and Elizabeth Neill Mallett, of "Berwick," Wyalong St., Burwood, New South Wales. 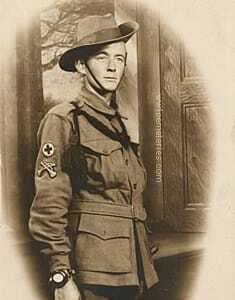 Pte Mallett, of Burwood, NSW, was serving with the 40th Infantry, AMF, when he enlisted in the AIF on 30 October 1916. He embarked from Sydney aboard the HMAT A29 Suevic on 11 November 1916. 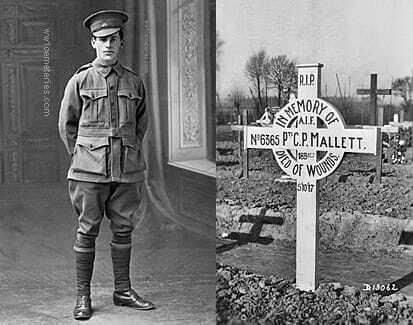 Pte Mallett was probably fighting in the battle of Broodseinde when he was wounded in the leg by either shrapnel or bullets and was taken to the 10th Casualty Clearing Station, near Poperinghe, Belgium, by the 3rd Australian Field Ambulance. He died on admission on 5 October 1917, aged 22. Son of Ephraim William and Isabella Manfield, of 34, Carrington Rd., Box Hill, Victoria, Australia. Of Wodonga, Victoria. A school teacher prior to enlisting, he embarked from Melbourne aboard HMAT Ascanius (A11) on 10 November 1915. On 8 October 1917, aged 24, he was wounded in action in the Ypres Sector, Belgium and died later that day in the 2nd Canadian Casualty Clearing Station, Belgium. 30th September 1917, aged 25. Son of George Herbert and Lydia Elizabeth Marshall. Native of Peel, Bathurst, New South Wales. 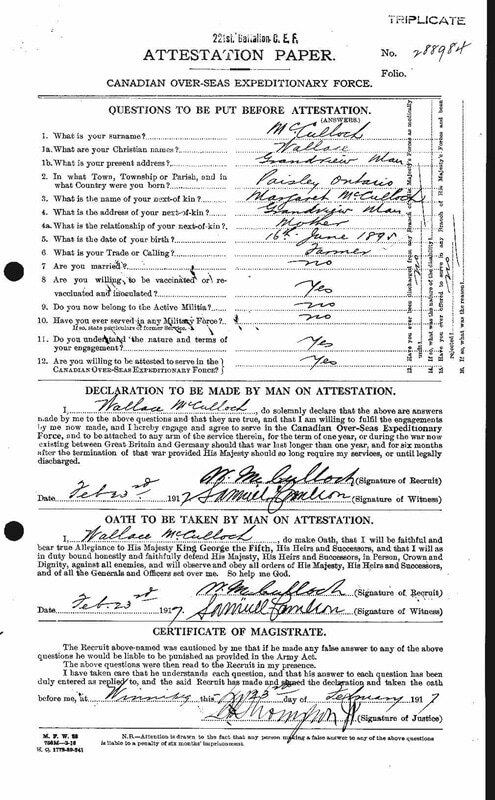 A native of Bathurst, NSW, Marshall worked as a farm hand prior to enlistment. He embarked with the 4th Reinforcements from Sydney aboard HMAT Anchises on 24 August 1916. Later transferring to the 24th Machine Gun Company. He died of wounds near Ypres on 30 September 1917, aged 25. 9th November 1917, aged 32. Son of Robert and Jane Marshall, of Wild Duck, Victoria, Australia. 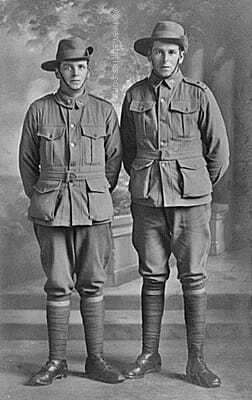 Brothers 2246 Private (Pte) Thomas Marshall (left) and 2182 Pte William Marshall, of Wild Duck, Victoria. William enlisted on 22 June 1915 in the 22nd Battalion and embarked for Europe aboard HMAT Hororata (A20) on 27 September 1915 from Melbourne. He was wounded in action in August 1916 in France, and after several months convalescence returned to the front in November. He was promoted to Lance Corporal (LCpl) on 1 March 1917. He was wounded on 3 May 1917 at the Battle of Bullecourt and died the same day, he was buried at Grevillers British Cemetery. 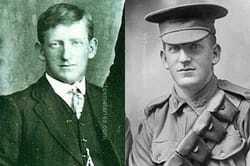 His brother, 2246 Pte Thomas Marshall, also of the 22nd Battalion, enlisted on 15 July 1915 and embarked from Melbourne with his brother. He was promoted to Lance Corporal on 19 May 1916. He was also wounded in August 1916 and evacuated to the United Kingdom for recuperation before rejoining the battalion in November. On 1 May 1917 he was promoted to Sergeant. On 9 November 1917 he died of wounds received in action. Eight days after the death of William, another brother, Gunner (Gnr) 33456 Robert Gibson Marshall embarked from Australia aboard HMAT Shropshire (A9) with the 24th FAB. A fourth brother, Pte George Marshall embarked in 1918. Both Robert and George Marshall returned to Australia after the war. 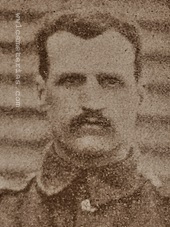 Thomas Marshall died at No.10 C. C. S. Poperinghe of shrapnel wounds to the head and a fracture at the base of his skull. The wounds were caused by a shell burst close by Anzac House, Zonnebeke as he waited for rations. 20th October 1917, aged 28. From Brookside, Vic. Pte McCormack an engine driver before enlistment enlisted in Darlinghurst, NSW on 4 January 1917 and embarked from Sydney aboard HMAT Anchises on 24 January 1917. He died of wounds in Belgium 20 October 1917 aged 28 years. His brother 2845 Pte. 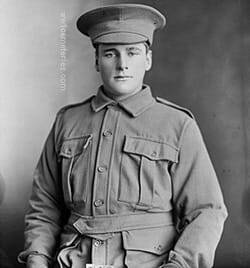 John Joseph McCormack served with 38th Battalion and returned to Australia on 15 April 1917. 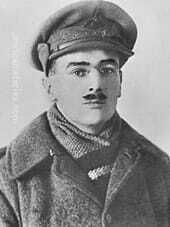 Ernest McCormack was hit in the throat by shrapnel, he succumbed to these wounds at No.10 C. C. S., Poperinghe the same day. Wallace McCulloch was born in Paisley, Ontario in the year 1895, which was a small community outside Southampton on the shores of Lake Huron. The Saugeen River flowed through the town and Wallace and his siblings had played on its banks .There had been ten children born into this family though three died during childhood and their names appear on a stone in the local cemetery which also records the names of James McCulloch and Margaret Strachan, their parents, who had both been born in Scotland. 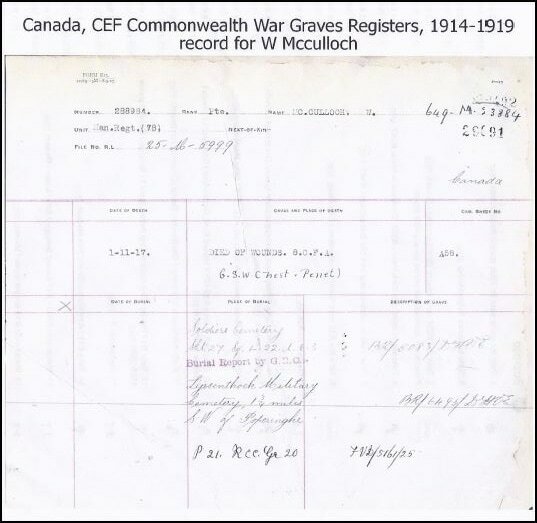 Wallace worked as a farm hand on another family farm ( he was 20 years old) until he joined the military on Feb 23 1917 in Winnipeg. He was a member of the 78th Battalion. 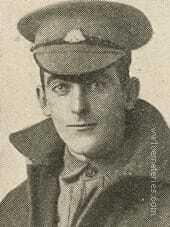 Wallace was killed on the 1st November 1917 during the Third battle of Ypres. He was survived by his Father, James Mc Culloch, his Mother Margaret Strachan McCulloch and siblings: Robert. Jean (Oliver), Alexander, Bessie Chaloner. Ethel Elliott and Annie Hastings. A letter to his sister Bessie that was penned in France on October 13/17, two weeks before he was killed. But will write again as soon as possible. We are having very fine weather these days, it rains pretty near all the time, and cold too, there was a bit of hail with the rain today. It sure is a great country & hope we don’t have to put in the winter here. I guess the harvest will be off by this time, and hope it didn’t get the frost. We are in an old barn tonight and I see the old flail too. We will be threshing in our sleep tonight. Well I had a letter from Annie and one from Ethel the day after I got yours. They were mailed a week before yours, but haven’t got the parcel yet that Annie sent. The mail came in today, the first for a couple of days, but I was out of luck but I suppose there will be some along one of these fine days. Of course after tomorrow don’t expect we will get any mail for about a week. Well, I think that is all for this time, and you can look for a picture of the platoon one of these fine days. Well must close now hoping you are all well as this leaves me. Reference R.L. 25-M-5999/ R...I...F. (4)/ BMT. N.B. All communications regarding this report should quote above number. Extracted from Burial Records, Canadian Record Office. London. This Burial Report contains all information at present available, but is subject to revision by this office. 21st September 1917, aged 29. Son of Robert and Margaret Ada McKenzie, of 102, Princes Rd., Liverpool, England. A ships purser prior to enlistment, he enlisted on 18 August 1914 and embarked with the 9th Battalion as a Private. He was returned to Australia in 1915 following injuries sustained at Gallipoli, in conjunction with neurasthenia. In May 1916 he was deemed to be healed and able to return to duty. He re-embarked in November 1916 and rejoined his unit. In May 1917 he was promoted to the rank of Lieutenant. He died of wounds sustained during the Battle of Menin Road on 21 September 1917, aged 29. 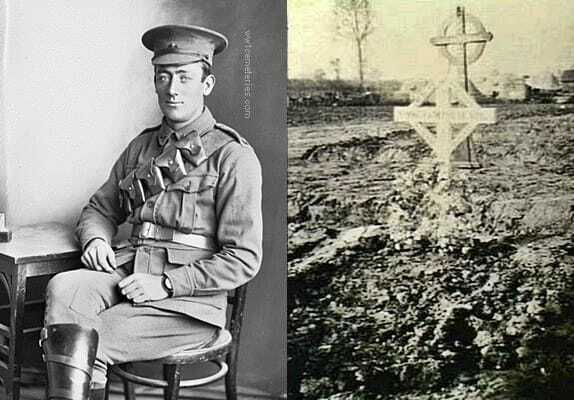 His older brother, 2nd Lieutenant Samuel Aubrey McKenzie, also of the 9th Battalion, was killed in action at Pozieres on 21 August 1916, aged 29. he is buried at the Pozieres British Cemetery. 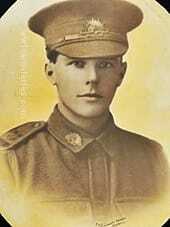 13th* October 1916, aged 20. A 19 year old timber trade worker prior to enlisting on 17 July 1915, he embarked for overseas with the 12th Reinforcements from Adelaide on 23 November 1915 aboard HMAT Ceramic. While serving on the Western Front, he suffered gunshot wounds to his chest and left foot at Hill 60, a low rise on the southern flank of the Ypres Salient in Belgium. 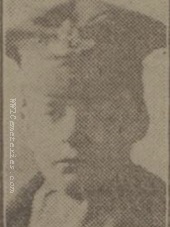 Pte McLaren died of his wounds on 13 October 1916 at No. 3 (Canadian) Casualty Clearing Station. * Note: 3rd C.C.S. records state that he died at 7:15am on 14th October 1916, CWGC records show a date of death as 13th October. 4th November 1917, aged 30. 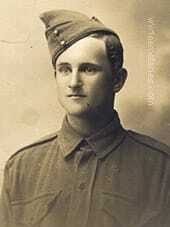 Son of John and Ada McLaughlin, of "Tanks," Evans St., Waverley, Sydney, New South Wales. Native of Sydney. A Captain (Capt) in the Australian Field Artillery with four years’ service prior to the start of First World War he embarked with the 1st Field Artillery Brigade from Sydney on 18 October 1914 aboard HMAT Argyllshire (A8) for Egypt. During service at Gallipoli he suffered jaundice and was evacuated to Malta in early November 1915 before joining 1 FAB in Egypt following withdrawal from Gallipoli. Capt McLaughlin was awarded the Military Cross in January 1916 for distinguished service in the field and was also Mentioned in Despatches by General Sir Ian Hamilton. Capt McLaughlin was promoted to Major on 12 March 1916. The Brigade relocated to the Western Front, France, during March and April 1916. 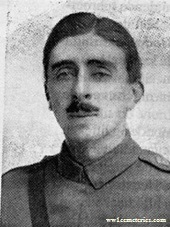 Maj Sexton was wounded in action near Flers on 1 November 1916 and was evacuated to Rouen and then to England for treatment and recuperation. 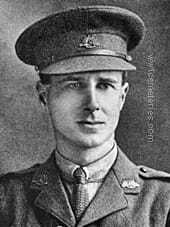 In early April 1917 Maj McLaughlin rejoined 1 FAB near Amiens where he took command of the brigade with the temporary rank of Lieutenant Colonel (Lt Col) which he held until relieved by Lt Col S M Anderson DSO on 13 July 1917. Maj McLaughlin was wounded in action on a second occasion due to an attack by phosgene gas on 2 November 1917, died of these wounds two days later in No 2 Canadian Casualty Clearing Station. 26th September 1917, aged 20. Son of Peter and Mary McLeod, of Broken Hill, New South Wales. An upholsterer prior to enlistment, he embarked with the 8th Reinforcements on HMAT Berrima (A35) on 16 December 1916. On 26 September 1917 he died of wounds received at Ypres, Belgium; he was aged 20 years. 27th September 1917, aged 21. Son of William and Mary McPhee, of Goldsmith St., Hamilton, Victoria, Australia. 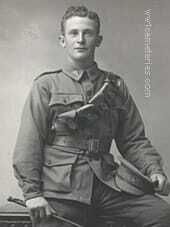 Sgt McPhee, from Hamilton, Victoria, was 18 years old when he enlisted in September 1914. He died of wounds on 27 September 1917. At Jeppe School, Johannesburg, South Africa, where he was admitted in January 1908, they now have the original war medals won by Cuckoo and the original letter from the Royal Army informing Cuckoo’s family of his death. He left school in December 1915. He was a Second Lieutenant in 108 Bty., Royal Field Artillery who died on Wednesday, 31st October 1917. He was buried in Lijssenthoek Military Cemetery, Poperinghe in grave XXI.AA. 16. I expect you have heard that I am back in England, and Hope to get a commission in a very short time now. I returned at the beginning of the year, and had an excellent time while on leave before joining up. The winter has been exceptionally severe, and we had a fortnight’s skating. I enjoyed it immensely in spite of several falls. I am going through practically the same as Mr Manduell did. I read a few extracts from his letters in the magazine. I was very much amused to think of him cleaning a window in the manner of an experienced old soldier. I ran up against an Old Boy, D. R. Chapman, and we are still together. He left about 1908. He met Mr Manduell in Amiens a short while back. Marr and I stuck together all the while, and I am hoping to rouse him sufficiently to make him apply for admission to one of these schools. They are very short of officers, and I am sure he would get in. We were at Loos and on the Ancre during the big battle. The Tanks went into action past our guns, and it was a very weird spectacle. The mud, however, prevented them from being as effective as they might have been. The night before I came back we were shelled out with gas-shells, and the three hours with the helmets on were about the worst I ever hope to spend. Unfortunately one shell blew the top of our dug-out on, and we had to extricate ourselves as best we could and get to the nearest gun-pit. The material damage was rather severe, but of the men only one was wounded and one gassed. I struck a very unfortunate detachment – of the eight men with the gun, we lost both N.C.O.’s and one gunner killed and three wounded. It was pretty rough work during the winter months. Never dreaming that prouder yet sadder would fall. With the roar of the guns for their passing bell. 27th September 1916, aged 22. A law clerk prior to enlistment 2nd Lt Melville embarked with the 14th Reinforcements from Sydney on HMAT Wandilla on 3 February 1916. On 27 September 1916 he died in France, aged 22, of injuries accidentally received in bombing practice. "Mr Melville was instructing the bombers. One of the men threw a bomb which did not go off. Mr Melville went to examine it but as soon as he picked it up, the fuse started going off and he dropped it and ran away, when he had got about 15 yards he fell on the ground. The bomb exploded and a piece of it got him in the head and he was badly wounded. He was brought in and operated on but died about two days afterwards. He was taken away after he was wounded in a Red Cross car which was brought up for him." 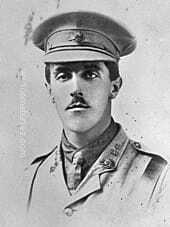 7th April 1916, aged 24. Son of Joseph and Agnes Metcalfe, of 3, West St., Nelson, Lancs. Son of Arthur and Emily Michael, of "Tooronga," 258, Latrobe Terrace, Geelong, Victoria, Australia. Native of Brisbane, Queensland. Charlie Michael was badly wounded in the arms and legs by a shell burst whiilst in the support lines at Westhoek Ridge. He was taken to No.10 C. C. S. where he later died from multiple shell wounds. Son of William Thomas Millington and husband of Annie. 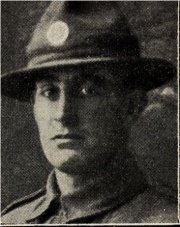 A farmer from Pimpinio, Victoria prior to enlistment, Pte Millington embarked with the 20th Reinforcements from Melbourne on HMAT Euripides on 11 September 1916. Whilst serving in France he was wounded in action and, due to the severity of his wounds, died on 5 October 1917. 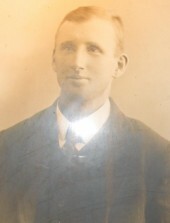 Son of Jessie Thorne and John Thorne (stepfather), of Pyramid Creek, Kerang, Victoria, Australia. Native of Kerang, Victoria. 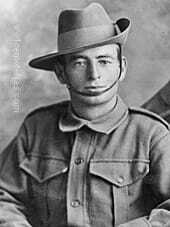 Pte Mitchell enlisted on 4 May 1915 and embarked from Melbourne aboard HMAT Demosthenes on 16 July 1915. He died of wounds on 4 October 1917 which he received on the Menin Road in Flanders, Belgium. 4th October 1917, aged 20. Son of Charles Albert and Fanny Matilda Mitchell, of Swift St., Ballina, New South Wales. One of five brothers who served in the First World War, Gnr Mitchell worked as a textile dealer prior to enlisting on 18 August 1915. Whilst serving with 1 FAB, he was appointed Driver on 3 July 1916. 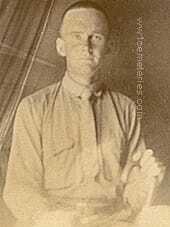 Dvr Mitchell was wounded in action at Zonnebeke, Belgium, on 3 October 1917, and died of wounds the following day at the 17th Casualty Clearing Station, Lijssenthoek, aged 20 years. He was posthumously awarded the Military Medal on 2 May 1918. 15th October 1917, aged 25. Son of James and Emily Mossop, of Bertie St., Hind marsh West, South Australia. A draper from West Hindmarsh, South Australia, prior to enlistment, he embarked with the 6th Reinforcements from Adelaide on 11 April 1916 aboard HMAT Aeneas (A60) for Suez. While in Egypt he was appointed Acting Corporal on 9 June 1916 and two weeks later the battalion relocated to the Western Front, France. In the following 12 months he progressed through the ranks and was promoted to Company Sergeant Major (CSM) on 2 June 1917. 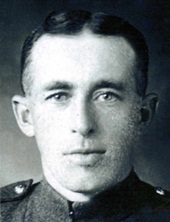 CSM Mossop was wounded in action near Zonnebeke, Belgium, on 12 October 1917 and died of these wounds three days later in No 2 Canadian Casualty Clearing Station. He was aged 25 years. 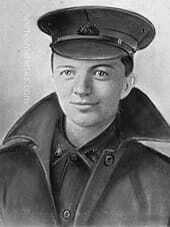 Michael Patrick Mulcahy, D. C. M.
31st October 1917, aged 26. Son of Thomas Timothy and Maria Mulcahy, of 5, Brisbane St., Ascot Vale, Victoria, Australia. Native of Boosey, Victoria. 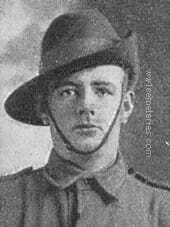 Pte Mulcahy enlisted on 29 March 1915 and embarked from Melbourne aboard HMAT Port Macquarie on 4 June 1915. 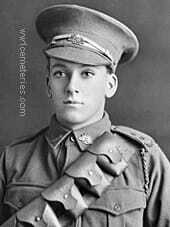 He was awarded the Distinguished Conduct Medal (DCM) on 26 September 1916 at Pozieres in France. He later served as a corporal and received a gun shot wound to the head at Birr Cross Roads near Hooge on 31 October 1917. He died later the same day. Son of Charles and Alice Harriett Mungomery, of "Overdale," Austral Avenue, North Manly, New South Wales. Native of Clyde, nr. Granville, New South Wales. A machinist prior to enlisting, he embarked from Sydney aboard HMAT Anchises (A68) on 24 August 1916. 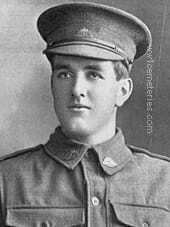 He was wounded in action at Westhoek Ridge, Zonnebeke, Begium on 12 October 1917 and died of wounds at the 3rd Canadian Casualty Clearing Station, Belgium on 13 October 1917, aged 28. James Nicholas, a medical practitioner of Colac, Victoria, embarked from Melbourne on HMAT Southern on 18 October 1914. Later promoted to the rank of Lieutenant Colonel, he was killed in action on 20 September 1917. 21st September 1917, aged 30. Son of the late Samuel Henry and Hannah Eliza Nicholson. Native of Brighton, Victoria, Australia. 3368 Private Arthur Marshall Nicholson was born at Brighton, Victoria, the son of Samuel Henry and Hannah Eliza Nicholson. He was working as a grocer when he enlisted in the AIF on 7 July 1915. He embarked from Melbourne for Egypt on 11 October 1915 with the 11th reinforcements of 5 Battalion. 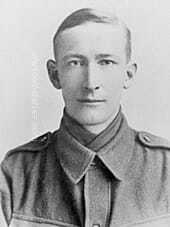 Nicholson served in Egypt until 25 March 1916 when he embarked for France, arriving at Marseilles five days later. He served in France and took part in his unit's first major action in France, at Pozieres in the Somme Valley, in July 1916. On 24 December 1916 Private Nicholson was admitted to hospital with trench feet. He was sent to England and was in hospital until May 1917. He undertook further training at Perham Downs for two months before rejoining his unit in Belgium in late August 1917. 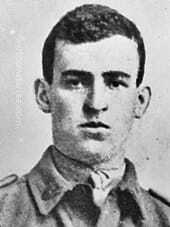 On 20 September 1917 Nicholson took part in an attack at Menin Road, near Ypres in Belgium, capturing German territory. Throughout the following day, 21 September, German artillery fire harassed the Australian positions and as the day went on became increasingly accurate. At some point during the day, Private Nicholson was hit by shrapnel in his left leg and ankle. 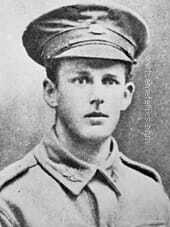 He was first treated by the 6th Australian Field Ambulance, who then transferred him to the 17th (British) Casualty Clearing Station, where he died of his wounds. He is buried at Lijssenthoek Military Cemetery in Belgium. 7th March 1917, aged 38. Son of James and Jane Nuttall, of Harle Syke, Briercliffe, near Burnley, Lancs; husband of Agnes Nuttall, of 81, Burnley Rd., Harle Syke.